Asda George Home Pyramid Kettle GPK401CO kettle review - Which? 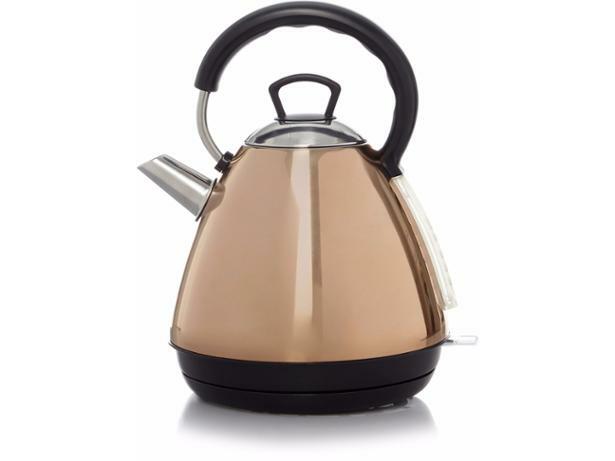 The Asda George Home Pyramid Kettle GPK401CO combines two popular trends - a retro-inspired pyramid shape and a fashionable copper coloured finish. As you might expect from Asda, you can pick up this kettle for a cheaper price than other models from big-name brands, but have corners been cut on this low-cost model? Our review has the answers. 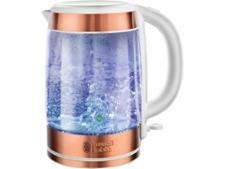 We have tested 317 kettles and found that there are 11 Don't Buys and 94 Best Buys. If you're looking for a new kettle and want the best of the best, our advice can help. We explain the features you should look for, matching kettle and toaster sets and how to find a great cheap kettle if you're on a budget. Are expensive Dualit kettles the most reliable or are supermarket brands your best bet? Our survey of 4000 Which? members shows which kettle brands are the least faulty and which owners like best, so you can buy a durable kettle. Our independent, thorough kettle reviews sort the best kettles from the rest. Find out how we test kettles, including what ratings go into the overall score.